The Aces finished the season in style with another win, Keri Brinning, 33 and brother Dave, 29 top scored for them with Peter Hicks hitting 28 for The Robbers. League Table - 2015 - 2016. What a night, with an unbelievable result. Heath Hornets had a bad start but gradually got back into the game, leaving The Cubs 62 to win. 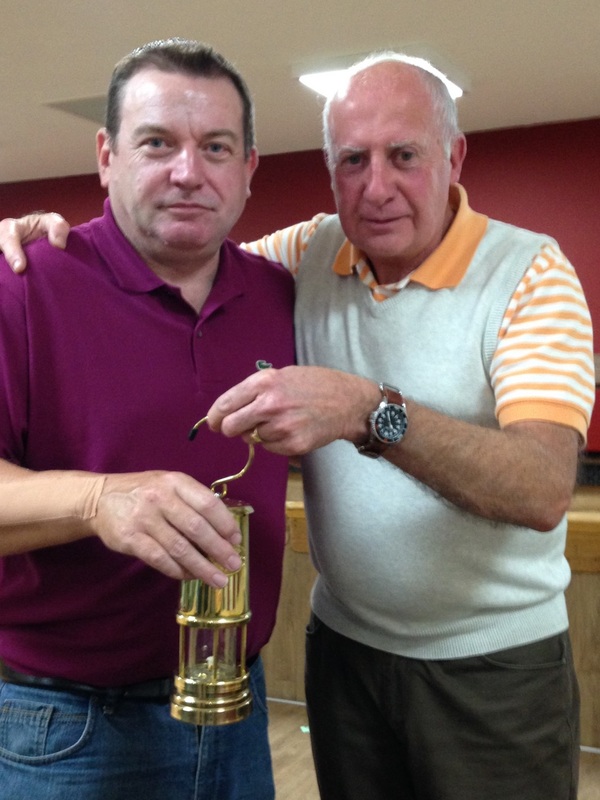 The last man, mark Allwood had to hit 9 to win. A very difficult task at the best of times but in a cup final, hitting eight to tie was incredible. That enforced the extra roll rule and The Hornets hit 59, leaving The Cubs 60 to raise the cup. They achieved their target, hitting 61 thanks to a 9 from Jon Elias. Dave Clissett and Mike Evans both had 30s for The Hornets. CONGRATULATIONS TO THE PLOUGH CUBS IN WINNING THE LEAGUE AGAIN AFTER FIVE YEARS. THEY FINISHED THE SEASON IN STYLE, BEATING THE BLOODHOUNDS, WITH DENNIS WESTREN HITTING 31. ADD TO THIS A THRILLING CUP WIN TO ACHIEVE THE DOUBLE - THE FIRST TIME IN THE HISTORY OF THE LEAGUE. Many Congratulations to The Mag Twelve who clinched The 2014 - 2015 League Title. The Individuals competition was won by Tony Huntley after a 7 5 7 7 6 total of 32. Second place was a win for Mike Evans after a roll-off with Bob Ford after hitting 30 each.